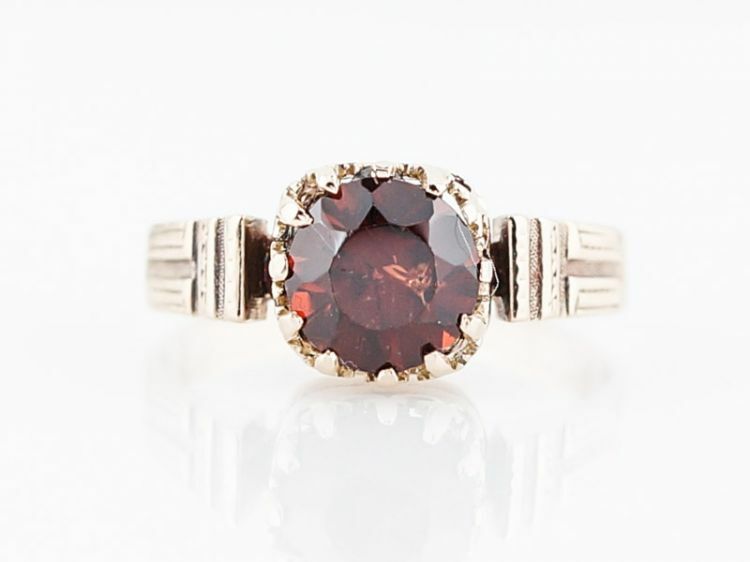 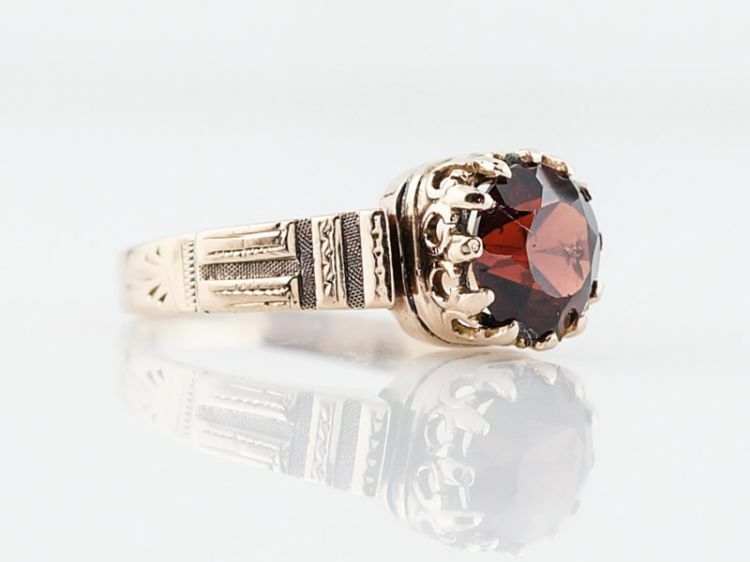 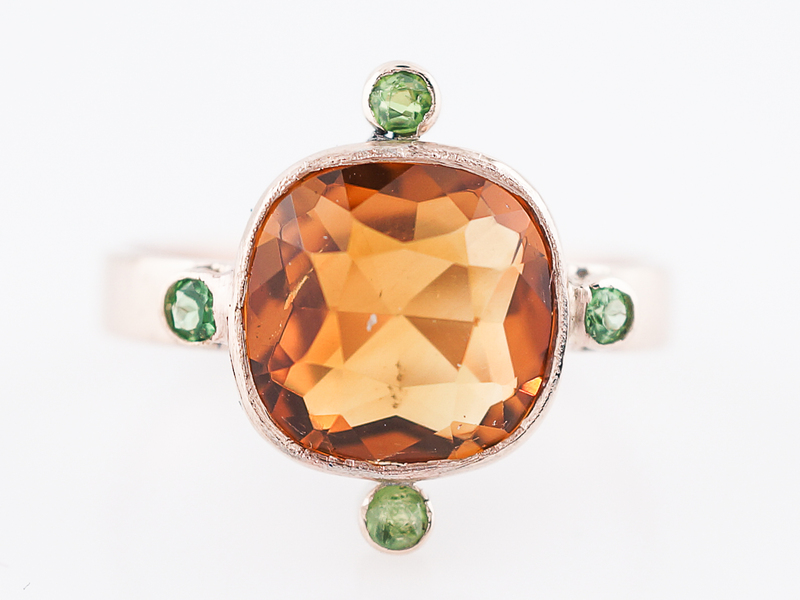 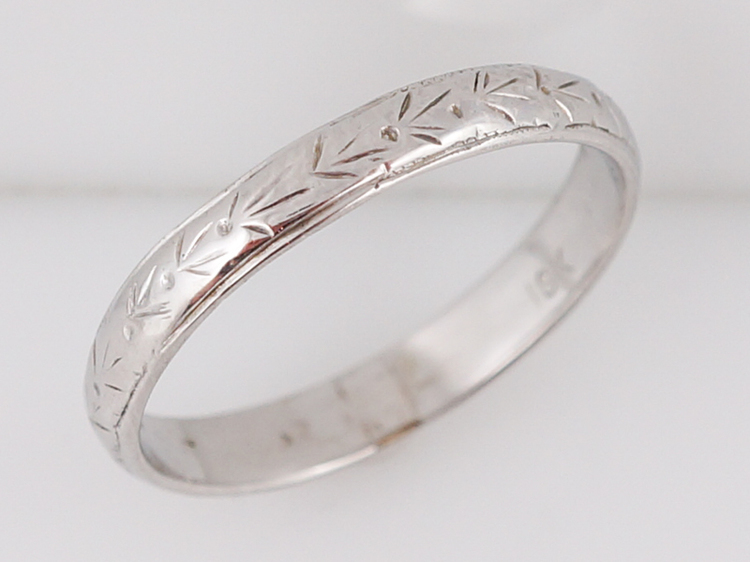 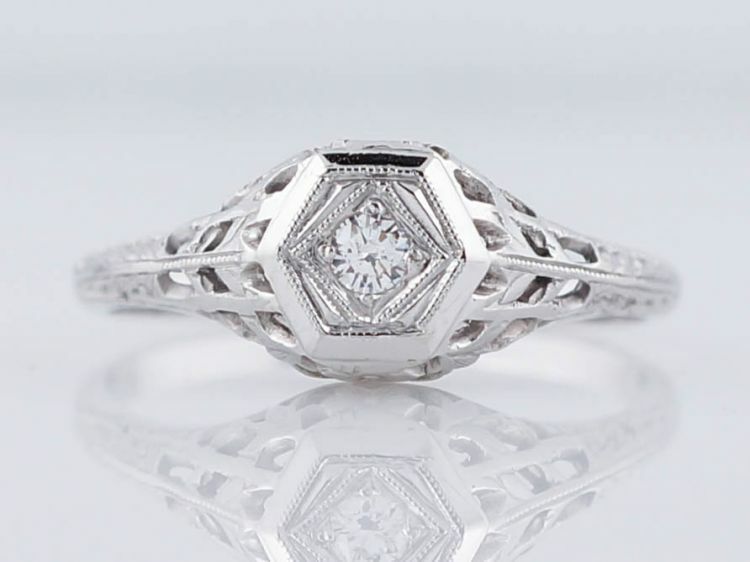 This original art deco era ring is positively precious. 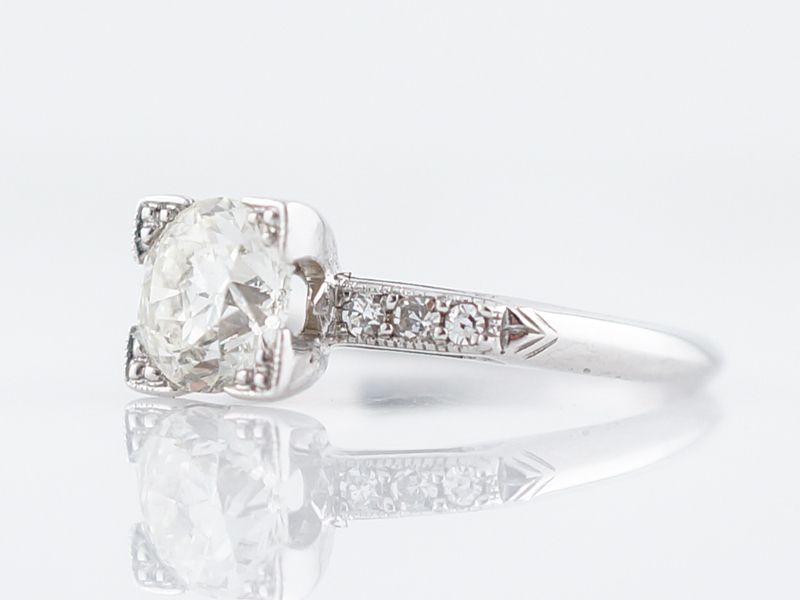 The .81 carat old European cut diamond is set with “fishtail” style prongs, allowing for the full radiance of the stone to shine in full view. 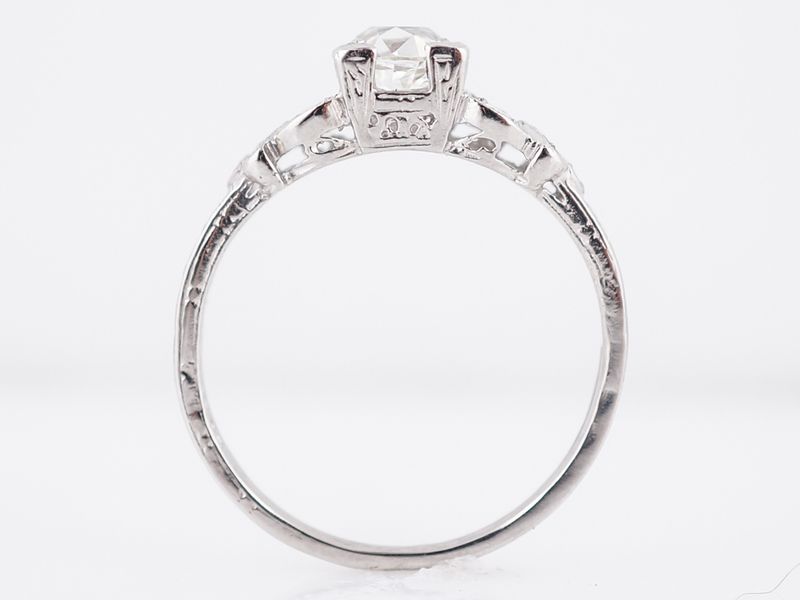 The center diamond is accented by six (6) larger single cut diamonds which provide additional sparkle from every angle. 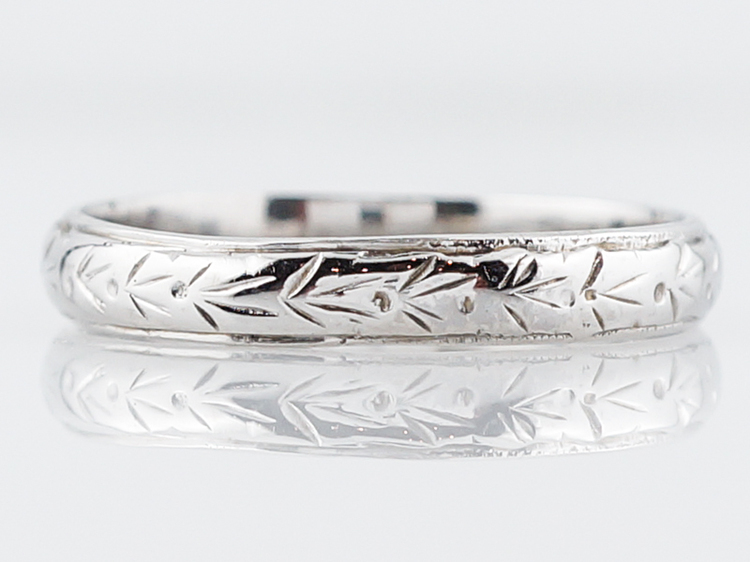 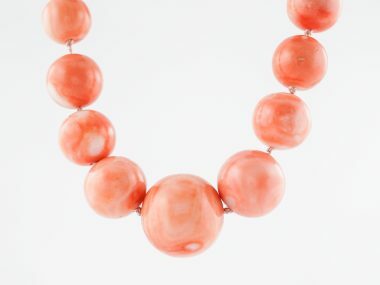 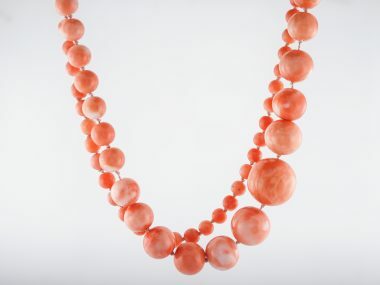 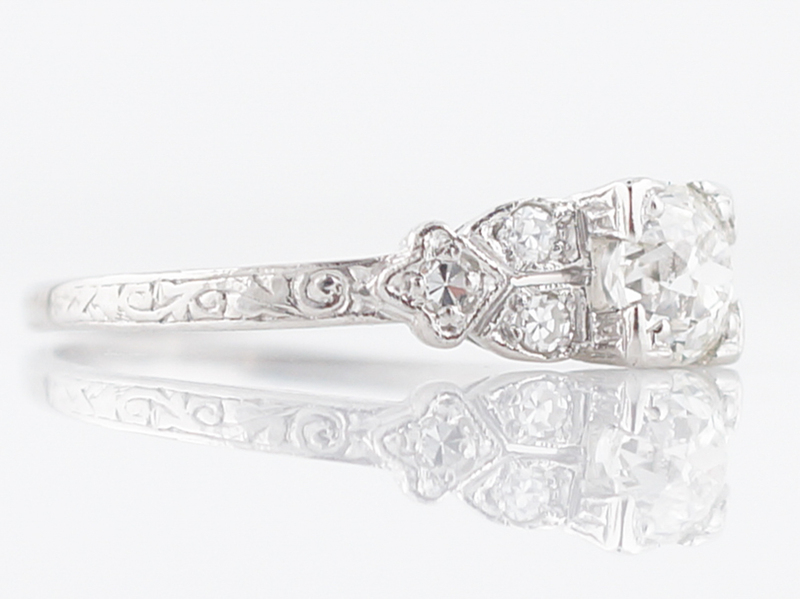 The shoulders of the shank are engraved with beautiful organic repousse’ detailing. 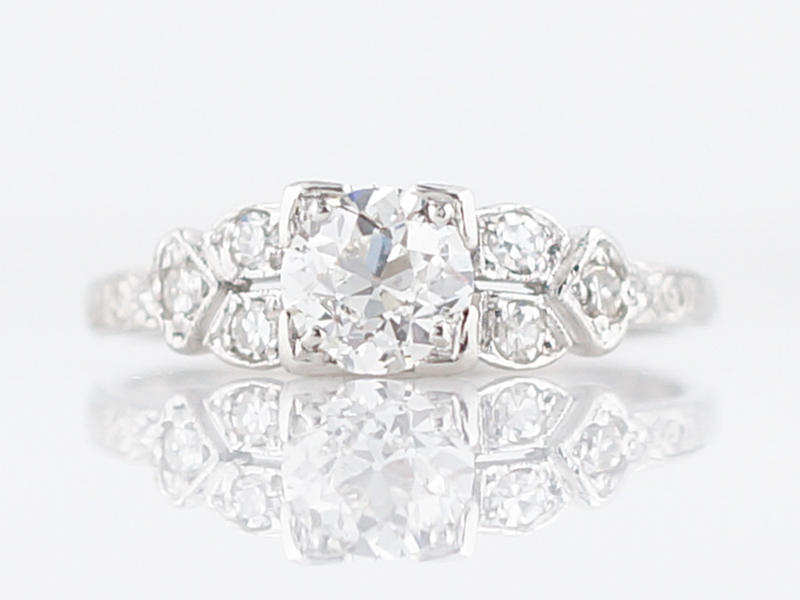 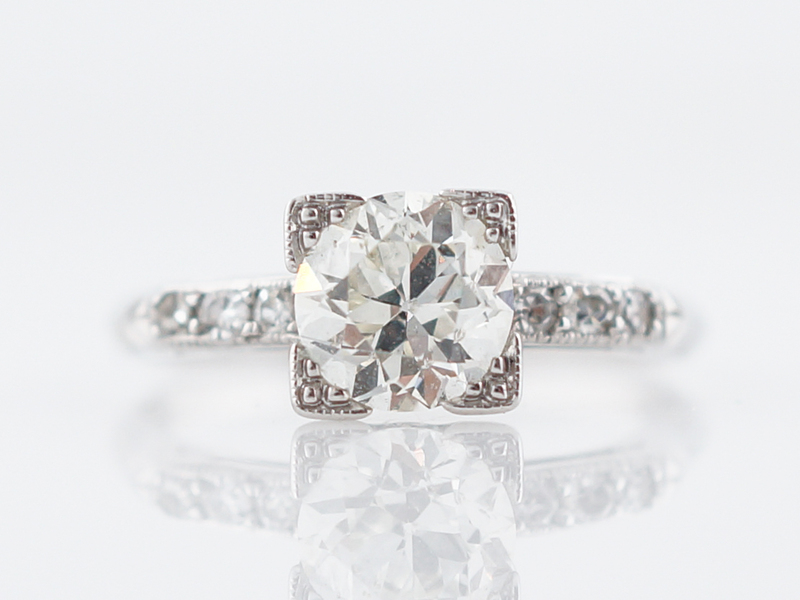 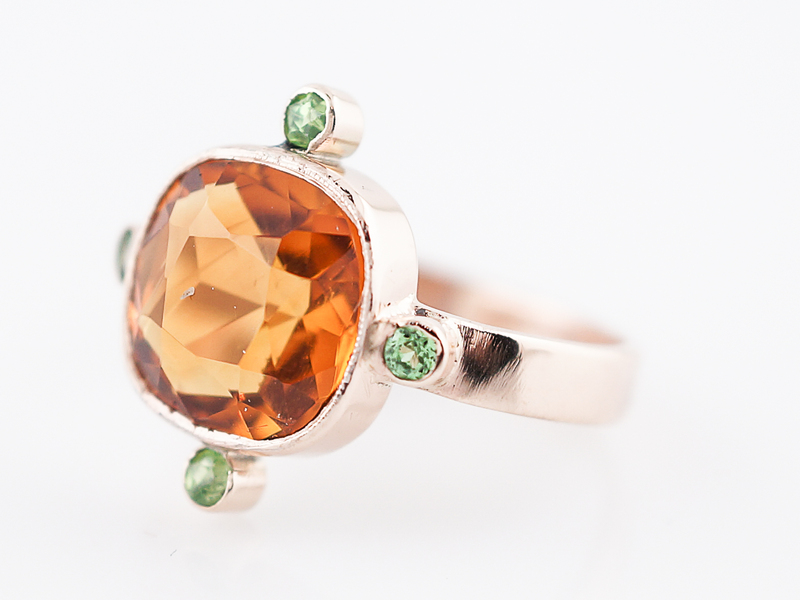 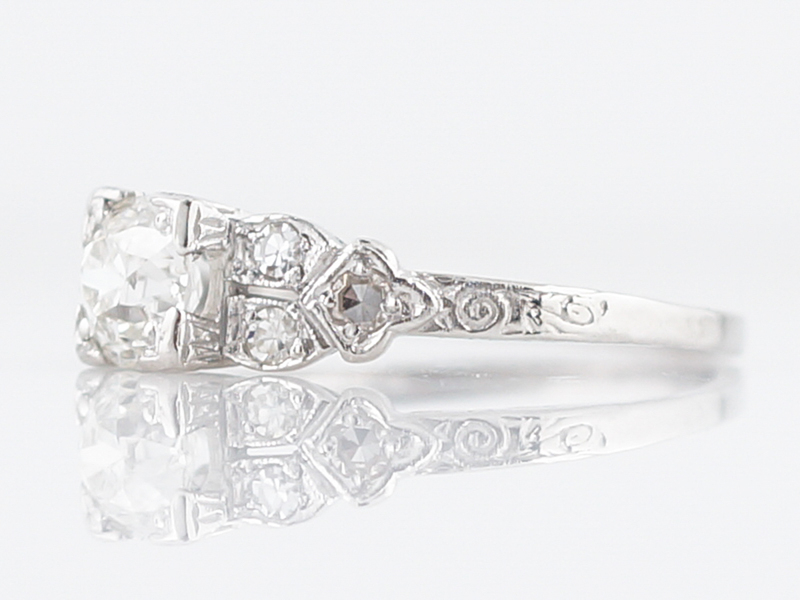 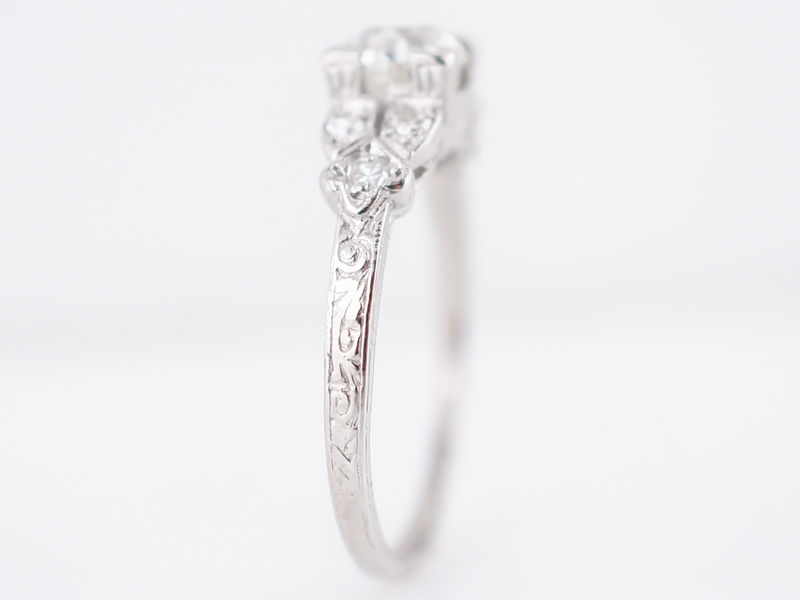 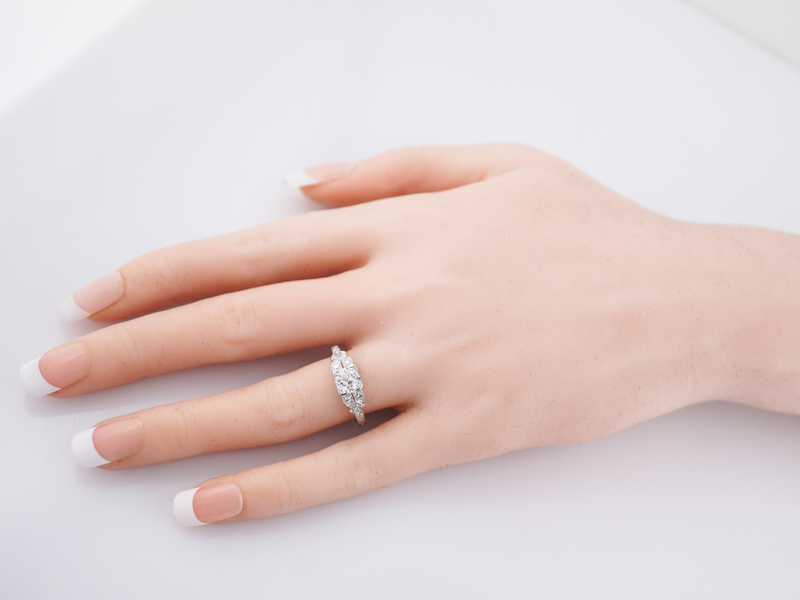 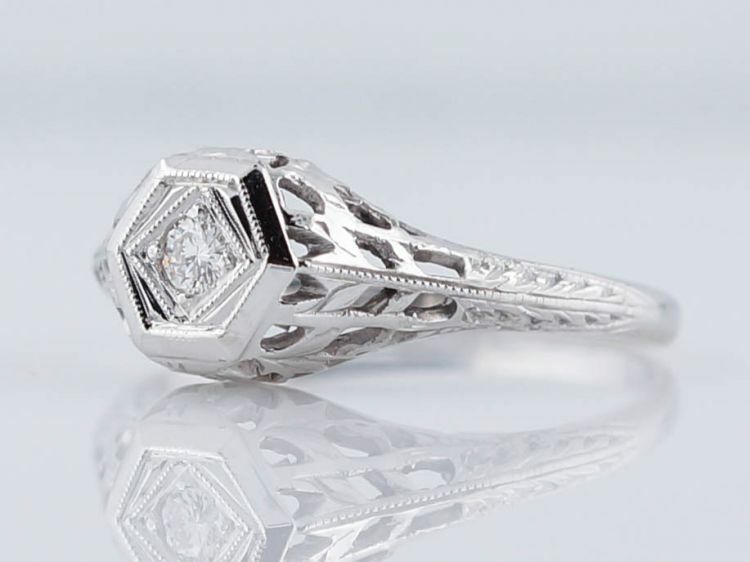 A truly magical art deco engagement ring!